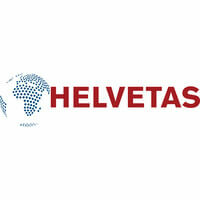 HELVETAS Swiss Intercooperation Tanzania (HELVETAS) is an international NGO and part of HELVETAS Swiss Intercooperation which has its Head Office in Switzerland (www.helvetas.org). HELVETAS Tanzania presently engages in two thematic areas: Skill Development and Education (SDE) and Sustainable & Inclusive Economies (SIE). Under the latter, HELVETAS is implementing various postharvest management initiatives and an organic cotton mandate involving work with the private sector. The Programme Directorate of HELVETAS Tanzania in Dar es Salaam would like to strengthen its technical expertise in the thematic sector of SIE for which it is creating the post of Programme Officer Market Systems and Private Sector Development who supports these postharvest initiatives as well as strengthens market systems and private sector development in general and contributes to the development of the project portfolio of HELVETAS Tanzania. Qualifications: Master's degree in the field of business development studies, business administration, market & value chain development or other related fields or equivalent work experience. Experiences: Minimum 5 years of relevant experience in MSD and PSD; working experience in/with the private sector is advantageous. To provide thematic support, coaching and backstopping as well as to contribute to the planning, implementation, and reporting of initiatives of HELVETAS Tanzania which apply an MSD approach and/or involve the private sector and aim at strengthening PSD. To support the Programme Directorate of HELVETAS Tanzania in the development of its SIE portfolio. Please note, any application will only be considered after the candidate has gone through both steps, 1 and 2. Document should be in one pdf file not exceeding 1MB saved with the position title. No certificates or images should be attached; otherwise the application will be disqualified. Telephone and any other form of enquiry will not be entertained. Only short-listed candidates will be contacted for written test, presentation and interview.